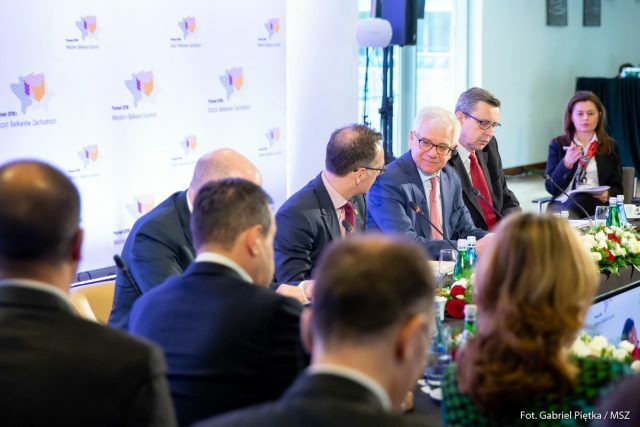 WARSAW – Foreign ministers from the Western Balkans countries and eight European Union member states discussed regional cooperation and current issues across the Western Balkans region on the second day of Berlin Process ministerial meeting in the Polish capital. Polish foreign minister Jacek Czaputowicz welcomed the heads of the delegations. “We need to resolve open bilateral issues in the region before we can fully implement economic and infrastructural cooperation”, he emphasized. After a Berlin Process meeting, Czaputowicz underlined that Poland understands very well what the Western Balkans are up against today. 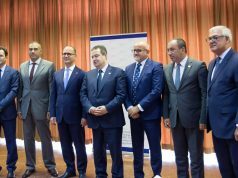 “I’d like to congratulate our Western Balkans partners on their successes in developing regional cooperation and resolving bilateral issues,” said the Polish Foreign Minister, mentioning the regional agreement on the reduction of roaming charges and the Prespa agreement between North Macedonia and Greece. Plans and goals concerning the upcoming Berlin Process Summit which will be held in Poznan on July 5th were presented by the host during the working lunch, where the ministers of foreign affairs voiced their expectations about the challenges and opportunities for Western Balkan countries, states Ministry of Foreign Affairs of North Macedonia. Minister of Foreign Affairs of the Republic of North Macedonia Nikola Dimitrov gave an introductory address where he referred to the two key agreements through which the Republic of North Macedonia closed all bilateral issues with its neighbours, underlining the Treaty on Good Neighbourliness, Friendship and Cooperation with Bulgaria and the Prespa Agreement with Greece as the historic milestones in terms of the bilateral relations in the region. 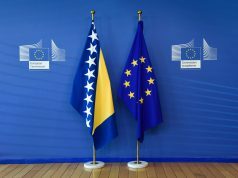 “The Balkan region has shown that it knows how to behave in a European manner and to create a future”, pointed out Dimitrov. Albanian foreign minister Gent Cakaj said that Albania supports the Berlin Process as an empowering mechanism. 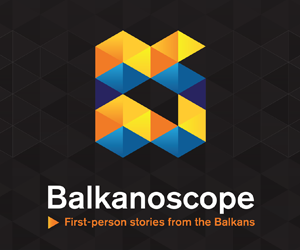 “The Berlin Process fosters regional economic cooperation and connectivity and drives forward the integration process of the Western Balkans in the EU”, said Cakaj. 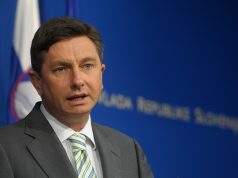 Serbian Foreign Minister Ivica Dačić arrived on the second day of the Berlin Process Ministerial Meeting. “Serbia will continue to participate in all activities related to the Berlin Process which fosters European integration and brings stability across the region”, said Dačić, N1 reports.